How Lake District Hotels increased direct bookings with a single customer view. From disparate data to personalised campaigns. Lake District Hotels had disparate data sources with no integration between their general marketing and reservations database. This made it hard for them to understand their customers’ lifetime value and send relevant, personalised campaigns. They needed a single customer view to enable them to automate customer journeys with minimal time and resource. Implementing Pure360’s PureIntelligence module made this possible and overall bookings increased by 4% in the first six months as a result. Founded in 1983, Lake District Hotels is a collection of unique family-owned hotels in the heart of the Lake District. Their main marketing objective is to increase direct bookings and reduce third party commission whilst maintaining and increasing occupancy and revenue. Like many hotel groups, Lake District Hotels had valuable guest information on legacy reservation systems with many incomplete or incorrect fields. For example, despite having a dog friendly policy, they had no way of identifying if a visitor had brought their dog with them. The reservations database was not integrated with their general marketing database, so they did not have a detailed understanding of their guests’ journey and overall lifetime value. Sending personalised, targeted campaigns based on customer lifecycle journeys and previous behaviour was almost impossible. Cleaning the databases would have taken a significant amount of budget, time, and resource that was not available at the time. In addition to email, Lake District Hotels also use direct mail as part of their overall mix. Like many marketing teams, they had issues with accurately attributing revenue and ROI per marketing channel. Lake District Hotels is a long-standing Pure360 customer, using PureCampaign to create and send their email campaigns. Adding Pure360’s PureIntelligence module was the natural solution to their data and personalisation challenges, as it offers a single customer view and automated customer journeys. The Pure360 team ensured the onboarding process ran smoothly, meeting all of the hotel group’s specific needs. James Pass was pleased with how the process went: “Having Tracey (our PureIntelligence specialist) demo the system in person, then follow up with calls and screen shares to explain how to create customer journeys was invaluable. Direct bookings up 4% in the first six months of implementation. Maintained overall occupancy whilst reducing third party bookings by 8%. Increased conversions from email and direct mail marketing. Implementing PureIntelligence resulted in a 4% increase in overall direct bookings (year on year) within the first six months. It also delivered an 8% reduction in third-party bookings while overall occupancy was maintained. Since integrating their multiple data sources into a single customer view, James has been able to optimise their customer journeys by implementing a series of lifecycle automations. He explains: “We run various automations, including a welcome journey for new subscribers and a lapsed booking journey for guests who haven’t stayed with us 18 months. We are also able to automate targeted campaigns for each of our hotels with specific offers, news and events. In the first 6 months of implementing PureIntelligence overall direct bookings have increased by 4% versus the same period last year. It has also led to a reduction in third party bookings by 8% whilst maintaining overall occupancy. “From being able to personalise our messages and target specific segments with journeys which can go into so much detail is fantastic. The ROI of our email marketing has hugely increased. Being able to use the solution for our offline marketing too has been a brilliant added extra benefit to us. Previously, James was unable to track the ROI from email marketing. PureIntelligence has meant he can now track everything. Lake District Hotels is now looking to build out customer journeys even further and implement pre and post booking journeys to increase bookings and customer lifetime value. No segmentation and personalisation meant generalised marketing messages were sent to whole database. Integrated data sources mean targeted, personalised campaigns can be sent with accurate attribution to online and offline channels. 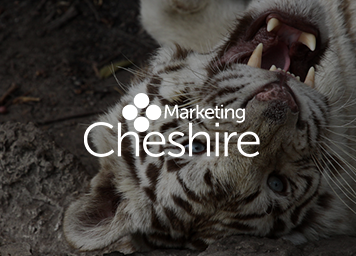 Ready to revolutionise your marketing? Discover how a single customer view will take your marketing to the next level. See PureIntelligence in action by booking a demo.